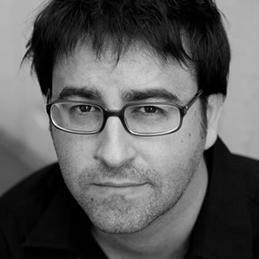 He is founder of the design firm Héctor Serrano Studio, which was established in London in 2000. This firm’s projects combine innovation with the communication of familiar ideas in unusual and inventive ways. The studio's activities are divided into product, space, communication and laboratory work. In this last area, they undertake research projects that allow them to put new formulas into practice, in addition to questioning existing ones. The constant exchange between these areas enriches the process, giving rise to successful, long lasting products and projects. The firm’s client list includes companies such as Roca, Moooi, the Spanish Ministry of Industry, Tourism and Trade’s Spanish Institute for Foreign Trade (ICEX), Droog Design, Metalarte, Caja Madrid’s La Casa Encendida and Valencia City Council, among others. The firm has received various awards, such as the Peugeot Design Award and the Premio Nacional de Diseños no Aburridos. Their products have been exhibited extensively in museums such as Victoria and Albert Museum in London and the Cooper-Hewitt National Design Museum in New York, and form part of different collections in others such as the Central Museum in Utrecht. Héctor studied Industrial Design in Valencia before moving to London, where he earned a Master’s degree in Product Design at the Royal College of Art.